Money shot: Ball Above All sees teams compete for prize money. 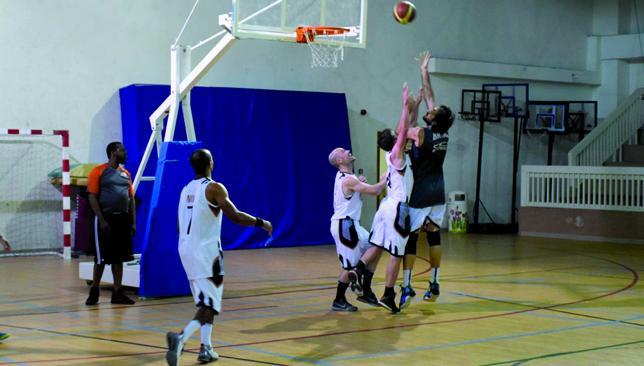 Basketball in the UAE is still a sport under development, with structure and organisation needed to expand the game. Belal Abiad is doing everything he can to benefit the cause through Ball Above All Dubai, a social basketball movement. Since starting in 2013, Ball Above All specialises in organising leagues and tournaments, along with pick-up games and coaching for players. At the moment, it is all run by Abiad, from the logistics of scheduling games to running the website and everything in between. Despite putting in hours upon hours on top of his day job, Abiad is more than happy to fill a need for the region. His passion for the game stems from his own basketball background. The Australian-born Lebanese, who has played professionally in Lebanon and semi-professionally in Australia, initially started Ball Above All’s concept Down Under as a university student in 2002. What made his concept different, however, was rewarding prize money to the winning teams instead of a standard trophy. The league continues to run in Australia, but Abiad has now brought his tried-and-tested approach to the Middle East with what he believes is the only running league for expats catering to the elite level. “I was pretty much bored from the social basketball system. It’s not really a pro level, but it’s not really a low level,” Abiad said. The leagues are now in their fourth season, with the Elite League Division I running at Al Sufouh Secondary School on Fridays and Saturdays and the Semi-Elite Corporate League taking place at Raffles World Academy on Wednesdays. In total, Ball Above All currently has 18 teams competing for a prize of Dh8,000 in Division I and Dh4,000 in the Semi-Elite Corporate League. 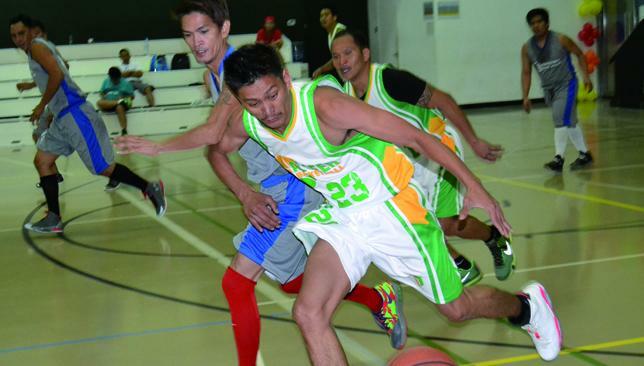 Aside from the leagues, pick-up games are also offered for any player, no matter the level, age or gender. The sessions, which are held on Tuesdays at GEMS Wellington International School and on Sundays at Raffles World Academy, are limited to 15 people on a first-come, first-serve basis by contacting Abiad at [email protected]. Coaching is still to come on a more regular basis, but Abiad’s ultimate aspiration is to form a pro league for expats down the road. With his passion and the impact he’s had on the basketball community in a short period of time, there’s no reason why Abiad can’t aim big. “Not many people in Dubai do it for the passion, they do it for the money. With me, it’s more about the passion,” he said. On the ball: Al Seer (white). Al Seer got off to a strong start by dominating Jubaili Bros 54-42 at the opening game of Jazzville Basketball League (Inter-company Division) at Jumeira Baccalaureate School on Friday night. Al Seer established a four-point lead, 14-10, at the end of the first period and ran on all cylinders in the second period, scoring 16 fastbreak points courtesy of Jerome del Villar and Dindo Acibar, to lead 35-22 at the half-way mark. They maintained their well-oiled scoring machine in the third quarter and even implemented a tighter defence, limiting Jubaili Bros to a measly five-point production in the entire period, while they stretched their lead to 46-27 going into the final period. A triple by Jeff Pocalan gave Al Seer their biggest advantage at 21 points, 51-30, in the middle of the fourth quarter but Jubaili Bros did not go down easily without a fight as Garry Perez, who led all players with 15 points, Jefferson Ibo and Randy Volante put up a last ditch effort and tried to stay close in the game. Al Seer’s lead was pared down to 12, 52-40, but time was already winding out and they just maintained their composure by focusing on defence to secure the win. Rene Cagalawan led Al Seer with 11 points while del Villar and Pocalan added seven markers apiece. Acibar and Jojo Bautista finished with six apiece. Elsewhere, the duo of Jerome Santos and Roy Da-arol led Emaar to a big 59-41 win over Sumo Restaurant. Santos and Da-arol scored 17 and 11 points respectively. In another game, Kendah Pest Control dominated Zuma from the get go and cruised to a 53-40 victory. Shades of brilliance: Team Al Wahda after their victory in Abu Dhabi. Novi Sad Al Wahda (UAE) successfully defended their FIBA 3×3 World Tour title after defeating Kranj (SLO) (17-14) in the title game in Abu Dhabi. The reigning champions had a perfect 5-0 record in the FIBA 3×3 World Tour Final in a full-house outdoors venue at the Corniche. The number one 3×3 player in the world, Dusan Domovic Bulut, lived up to his reputation in the capital, leading all scorers with 42 points and winning MVP honours. He had a game-high eight points in the championship game, which his team dominated from the start. 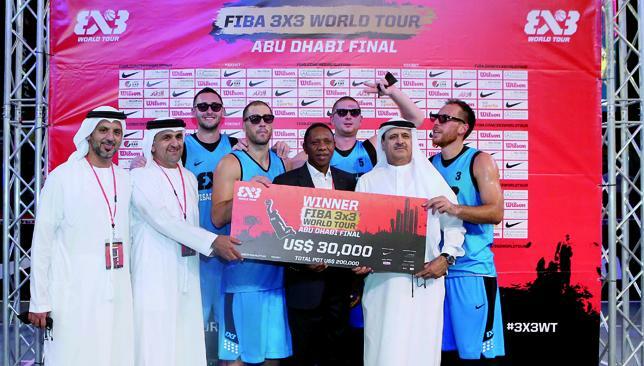 It was the third straight year that Novi Sad Al Wahda beat Kranj at some stage of the FIBA 3×3 World Tour Final. The sharpshooting Dejan Majstorovic contributed sixpoints in the game. In a losing effort, speedy playmaker Boris Jersin netted seven points and Mensud Julevic added five. Kranj qualified for the FIBA 3×3 World Tour Final by winning the Prague Masters while Novi Sad Al Wahda had won two Masters in the same year in Manila and Rio de Janeiro. While Novi Sad Al Wahda went undefeated in Abu Dhabi, the team had to defeat the city’s Filipino community which came to support Manila North and their star player Calvin ‘The Beast’ Abueva in the quarter-finals. In possibly even more dramatic circumstances, Bulut’s men stunned Trbovlje (SLO) in the semi-finals in overtime after being down by two in the closing seconds of regulation. Another reigning champ kept his crown in Abu Dhabi. Polish professional dunker Rafal ‘Lipek’ Lipinski (Poland) made history by winning the FIBA 3×3 World Tour Dunk Competition for the fourth straight year. He edged out Jordan Kilganon (Canada) in the final. Denver’s Derek Griffin won the Shoot-Out Contest.